After years of research and experience, DAC has developed the “1000 kilometer Tea”.This tea is composed of the best quality of herbs, grown, harvested, dried and worked up according to the strict GMP-food and ISO 9001 norms. 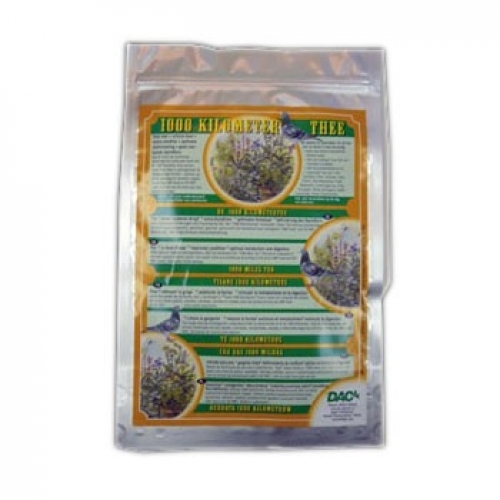 Dosing and preparing this tea for your pigeons is very easy: 1 tablespoon per litre of water. - The tea can be administered year round. Note! Don’t give this tea the day of basketing!